The entire Brunswick range is available exclusively from Home Leisure Direct. All Brunswick pool tables are backed by a lifetime warranty and come with free delivery and installation. Brunswick Pool Tables have been manufactured for over 150 years in the USA, firstly in Ohio and latterly in Wisconsin, and have an immaculate pedigree. 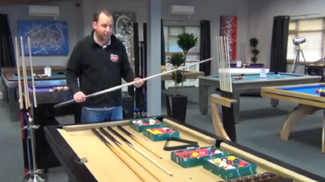 Here at Home Leisure Direct, we are proud to be the sole Exclusive Official Brunswick Pool Table Retailer for the UK, which means that we are able to offer the full range of Brunswick products from their extensive portfolio, including Brunswick Pool Tables, Brunswick Cue Racks, Brunswick Pool Balls and Cues. Brunswick was established in Cincinnati, Ohio in 1845, when John Moses Brunswick first laid eyes on a finely crafted billiard table. He was immediately inspired to create similarly beautiful billiard tables and set out to make it his life's work. Brunswick completed his first billiard table soon after. By 1850, Brunswick tables were establishing a world-wide reputation as some of the most masterfully-crafted billiard tables ever seen. Within 10 years, he had laid the foundation of what would become the largest billiard company in the world. John Moses Brunswick’s creative vision still thrives at Brunswick Billiards in Bristol, Wisconsin, where they continue the legacy of craftsmanship and innovation which began back in 1845, and still work to create the most beautiful billiard tables in the world. Today, Brunswick's tables are varied and unique, ranging from the ostentatious Exposition Novelty to the fantastic Centurion and Brixton, both of which are on display in our showroom. With our wide selection of both Brunswick Authentic and Contender brand tables, we offer the most complete line of top-quality, professional-grade tables in the industry – as well as a full selection of high-quality starter tables for the recreational player. Our Brunswick tables are available with a choice of Brunswick American pool cloth from either the Contender or Centennial ranges. These cloths are of the highest quality, come in all the same colours, and are manufactured by Brunswick themselves. If you need any help with choosing your perfect table, or deciding on colour schemes and finishes, please give one of our expert advisors a call on 0800 622 6464 and we'll be happy to talk through all your options. At Home Leisure Direct we supply your Brunswick table with free delivery and installation to most locations within mainland UK. The table will be professionally handled by one of our fully insured specialist two man delivery teams. It will be placed in a ground floor room of your choice, and all packaging removed. This ensures you have the best service from Brunswick and Home Leisure Direct, from the moment you order to the start of your first game. If you are looking for some expert advice, either on Brunswick Pool Tables or on any of our other products, please just give our friendly team of advisors a call on either our freephone number 0800 622 6464, or on our main line number 01454 413636.